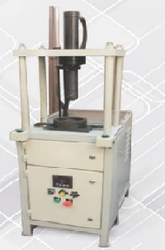 Pioneers in the industry, we offer heating oven, hydraulic pressing machine, double head bearing press and varnishing unit (chain type) from India. 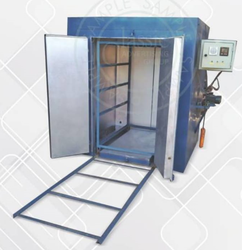 Chamber Size (Millimeter) 4'4", 4'8", 6'4"
Inner Chamber 4'4", 4'8", 6'4"
This machine is used for fan motor baking. 1hp blower for Air Circulation. Electrical Panel With Preset Timer. Size 4'4", 4'8", 6'4" with Two trolley. 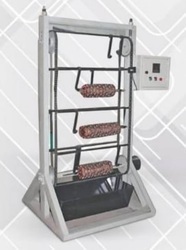 This oven can be easily assembled and disassembled by bolting system. Packaging Details: @2% ON MACHINE COST. WOODEN PACKAGING. Packaging Details: @2% ON MACHINE COST, WOODEN PACKAGING. 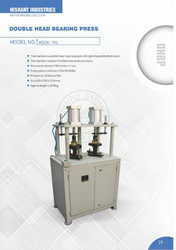 Looking for Pressing And Varnishing Unit ?